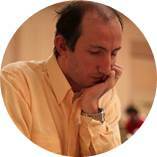 "Open positions are one of the most common types at chess. By learning how to play the open positions correctly you will take your game on the whole new level." Instant download of the 3+ hour long, video course with GM Victor Mikhalevski. This video covers the most important ideas of playing in the open positions that any player from amateur to GM must know.